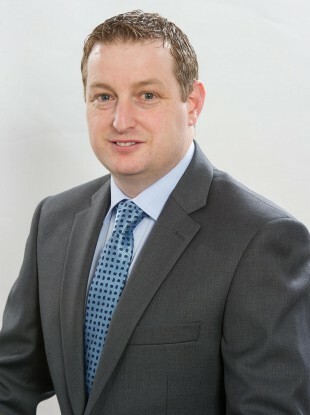 FINE GAEL AND LABOUR’s weekly parliamentary party meetings were dominated with discussion about the controversial appointment of a Donegal shop manager to a state board and his subsequent nomination for the Seanad by-election. This evening’s meeting of Fine Gael Oireacthas members heard from several TDs who expressed anger at how the party had handled the selection of John McNulty to take Deirdre Clune’s vacant seat in the upper house. There was criticism of Taoiseach Enda Kenny and Arts Minister Heather Humphreys – who signed off on the appointment – with calls for Kenny, who is in America, to explain the circumstances which led to McNulty being selected. Speaking in Rhode Island this evening, Kenny told RTÉ that it was his right as leader of the day to pick the party’s nominee and rejected criticism over the fact he did not choose a female candidate. A meeting of the Labour parliamentary party heard criticism over the issue tonight, some members describing it as “stroke politics”, but the party is likely to back McNulty in the by-election of TDs and Senators. Labour sources indicating they will support John McNulty in Seanad by-election. “Not an issue to bring the govt down over,” says one TD. Donegal-based McNulty was appointed to the board of the Irish Museum of Modern Art (IMMA) just six days before he was confirmed as the party’s nominee for the Seanad by-election leading to accusations that Fine Gael has pulled a ‘political stroke’. McNulty addressed the Fine Gael parliamentary party in Leinster House this evening and was said by those present to have come across well while not directly addressing his controversial appointment to the IMMA board. “He seems like a very good candidate. So why did we f*** it up for him,” said one TD. Many of those present said the party had made itself look bad and questioned what had happened to the two candidates nominated by the party’s national executive council – losing local election candidates Samantha Long and Stephanie Regan – who were passed over in favour of McNulty. One TD told colleagues that McNulty’s appointment to IMMA was a “cynical, politically naive manoeuvre which cost us votes”. Another said the party had come across like “Fianna Fáil lite” with its actions. Trinity Young Fine Gael condemns appointment of John McNulty to IMMA board, say it’s "return to old school cronyism and cynical politics"
1. Did McNulty apply for the IMMA board appointment?2. If not, who brought Mr. McNulty’s name to the Minister’s attention?3. Who recommended that Mr. McNulty be appointed to the board of IMMA?4. Is the appointment to IMMA a legal appointment? I ask this question given that the two new appointments to the board of IMMA now bring the total board number to eleven (11), two more than the maximum currently allowed, and in light of the Minister saying in her statement to the Seanad yesterday, that the draft legislation is not yet enacted for these two extra board appointments. Email “Lots of Fine Gael and Labour people are angry about this man’s appointment to a state board”. Feedback on “Lots of Fine Gael and Labour people are angry about this man’s appointment to a state board”.